If you are a regular reader here, you probably are familiar with the daily Femulator spot at the bottom of each blog post. In that spot, I feature images of femulators that I have found hither and yon. Often, the source of those images are theatrical films and television shows. It seems to be a bottomless source for guys dressing up as gals. 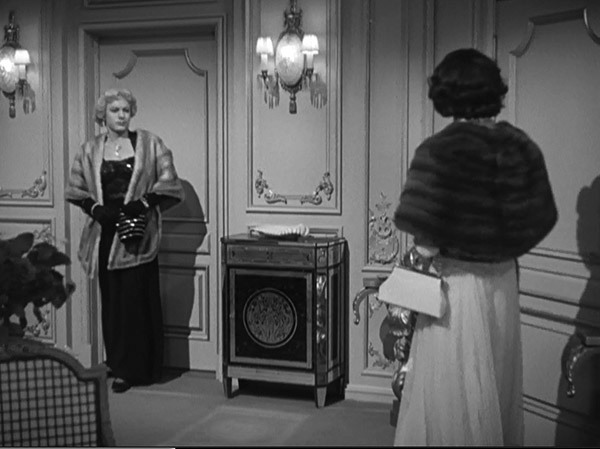 Years ago, while I was searching for femulator images, I came across a photo from a 1951 film titled No Questions Asked. 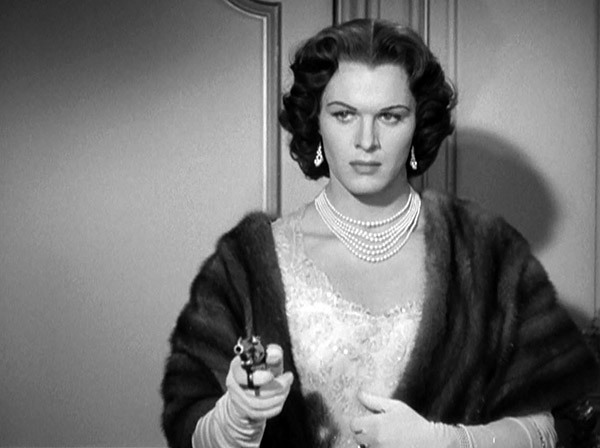 The photo showed an actor in 1950’s high glam fashion and he looked so good that I thought “he” might have been an actress playing a man impersonating a woman. 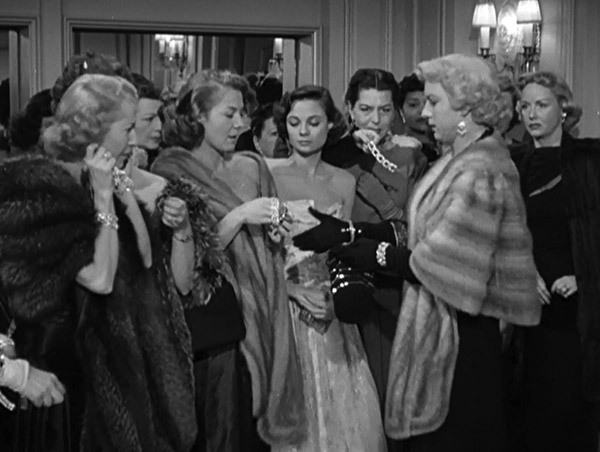 But, in fact, the high glam gal was actor William Reynolds. I was so impressed with his femulation that I sought out more information about the film, as well as more images of his femulation in that film. Turns out that there was not much on the Internet beyond the film’s entry in IMDB. I sought out the film itself, but I could not find a copy on VHS or DVD. Evidently, TCM had the film and had shown it a couple of times, but of course, I missed it. So I kept it in mind while I continued searching for other femulations. A week ago, I learned that the film had recently been released on DVD, so I ordered a copy and USPS delivered it yesterday. After the mailman dropped it off, I wasted no time and dropped everything to watch the film. No mention of the femulation, so I will fill in that part of the plot. 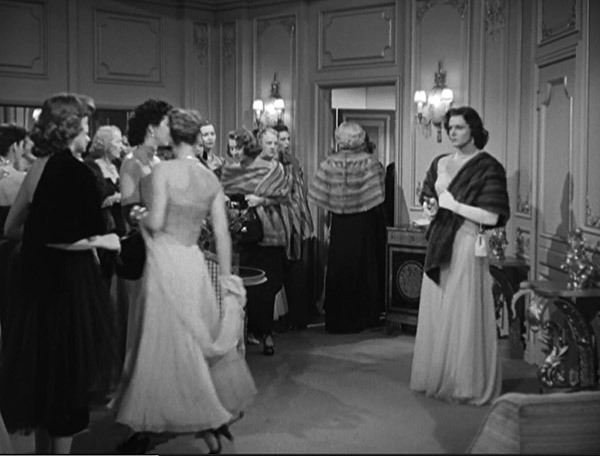 The gangsters hire two guys, who dress as gals and go to the “Ladies’ Lounge” of a Broadway theater to rob the female patrons of their jewelry. The brunette femulator, actor William Reynolds, follows brandishing a handgun and a dainty purse. Don't you just love the outfits the boys put together for their caper? Blondie relieves the ladies of their jewelry. The ladies were completely fooled by the boys' femulations and during questioning by the police, one lady remarked that they were very pretty. 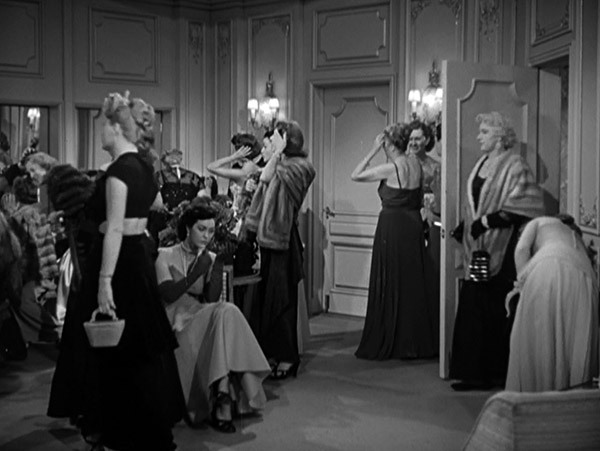 Sans jewelry, the ladies are forced into the back room of the lounge. 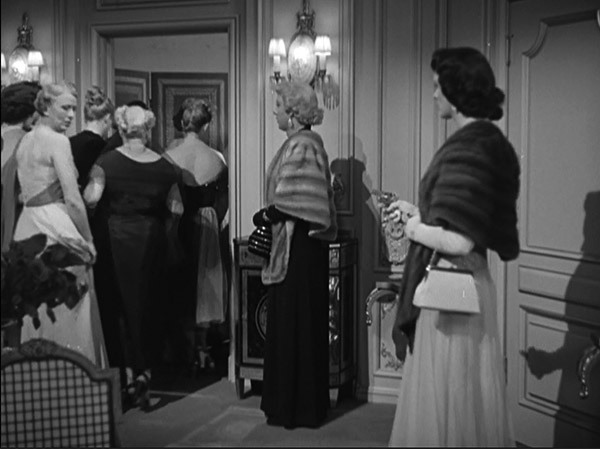 With the ladies safely stashed away in the back room, the femulators prepare to exit the premises. The femulators sashay out of the theater to their getaway car. Inside the car, the femulators switch from girl mode to boy mode. How they managed to accomplish this in the cramped back seat of the getaway car is not revealed. 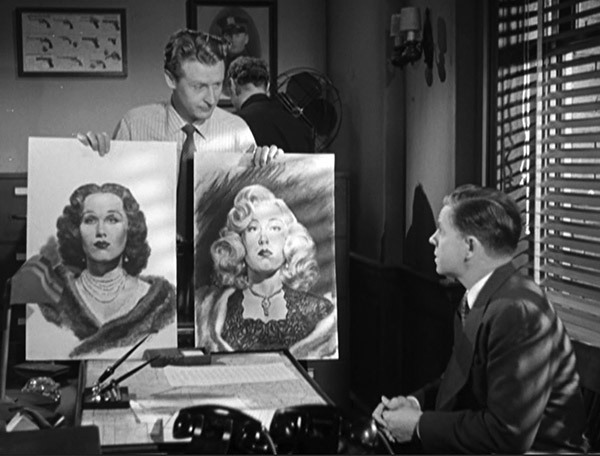 Using descriptions given by the ladies in the lounge, the police produced composite drawings of the perps. The blonde and brunette femulators in boy mode. 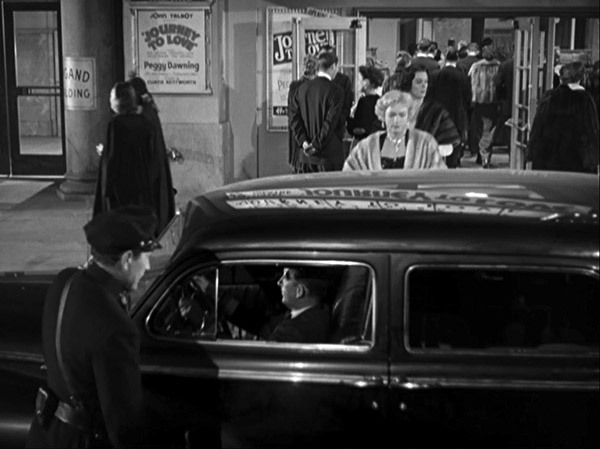 The hero of the film identified the boys as female impersonators from the burlesque. The blonde femulator corrected our hero and said they were "artists" from vaudeville. Actually, I believe you can get a copy nowadays from one of the pressed to order services. I believe it's a warner archive item. It might also be available from Amazon if you type it into their search engine. 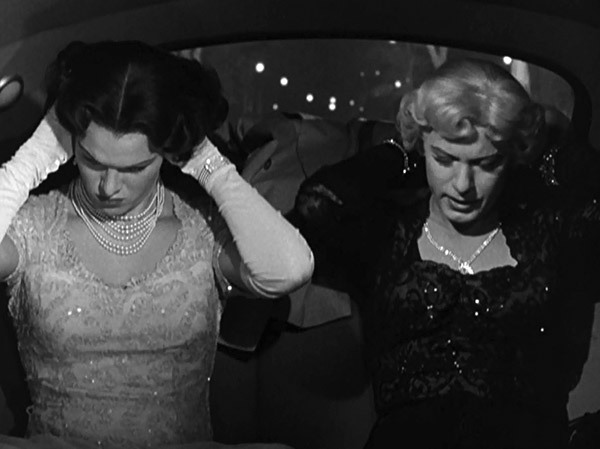 Hard to believe the future co-star of THE FBI did an early drag role but perhaps, J. Edgar, according to the rumors, didn't mind. I bought my copy from Amazon on DVD for $13.94. I am guessing that William Reynolds was an FI at the time? His bio does not indicate that he was an FI. He was in other films and all his other roles seem to be "manly" males. Reynolds had just got married the year before. Other roles were more butch. Perhaps a case of 'tried it once, didn't like it'. I hope they got a lot for the jewels! At least enough to pay for the fur stoles. After they switch to boy mode, they told the driver of the getaway car to "burn the clothes." Very wasteful, these days they could take the clothes to a thrift shop or Ebay. But the clothes were hardly things they could wear out everyday later. Both actors are still alive according to IMDB, Phipps at 94. Reynolds 85. 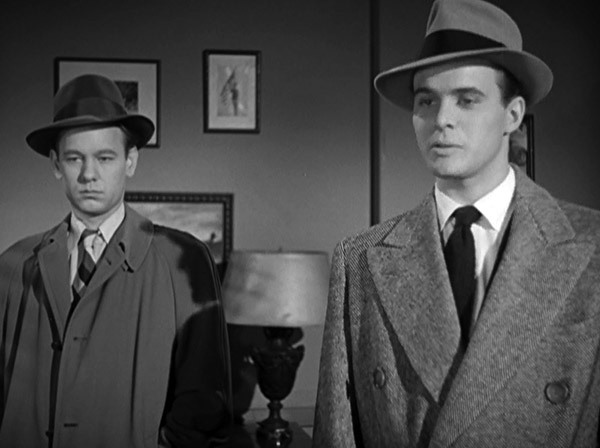 I remember Phipps appearing in some 1950's science fiction movies and Reynolds on the long running TV series, "The FBI." Rather daring for the time and a seemingly good femulations. There was a similar time frame movie where a british soldier deserted and hid out in the village as a woman but I believe he was actualy trans. Anyone know the name of that one? "The Triple Echo" released in 1972. 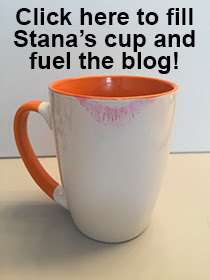 Great Research - Thank you Stana. Love the old movies! The pictures really demonstrate a good femulation,right down to the silver plated, pearl handled revolver. The director and the props people put good thought into the scenes. I have often wondered about this particular one! Is there anyway you could post this scene on Youtube? I can't find it anywhere.